The Atlantic herring (Clupea harengus) is one of the most important fishes in New England. This energy-rich species plays a vital role in the region's marine ecosystem, serving as food for many of the ocean's key predators. Recent research reveals that predators can consume 300,000 tons of herring a year— roughly three times the amount caught by fishermen annually. 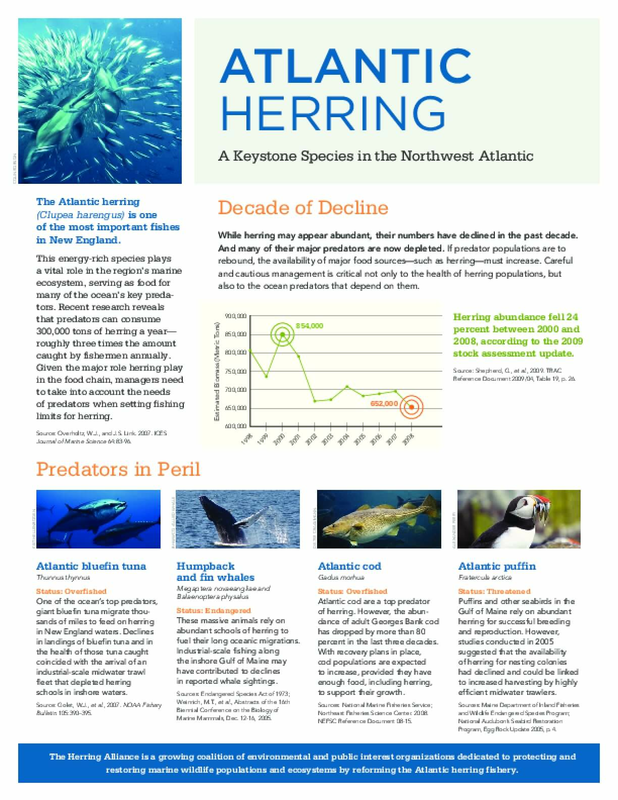 Given the major role herring play in the food chain, managers need to take into account the needs of predators when setting fishing limits for herring.